in-room comforts are right at hand. 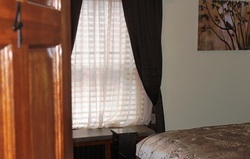 All guest rooms include the same amenities with luxury bedding, wireless internet access, 42" flat-screen TV with cable, I-Alarm/radio/docking station, mini refrigerator, hairdryer and iron & board. 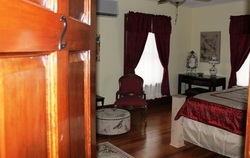 Suites have in-room private bathrooms with shower. Room 204 has a private hallway bathroom with shower. 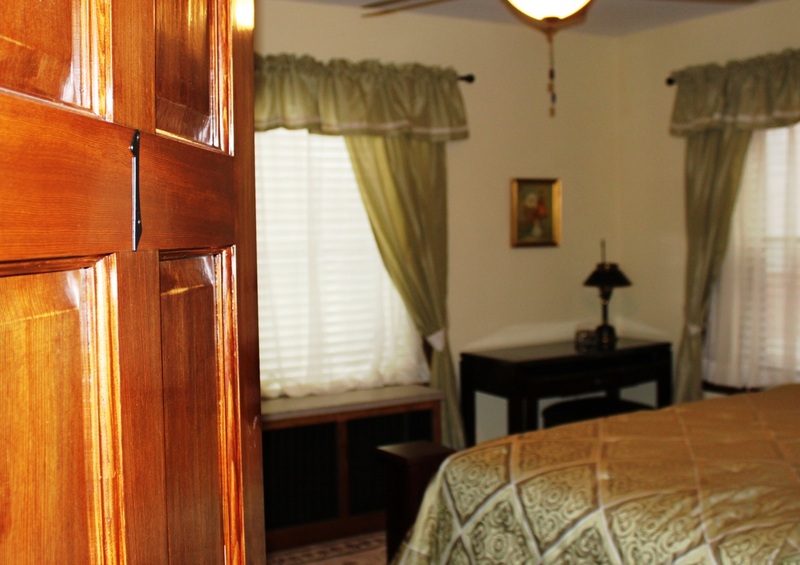 Suite 201 is warm & inviting. 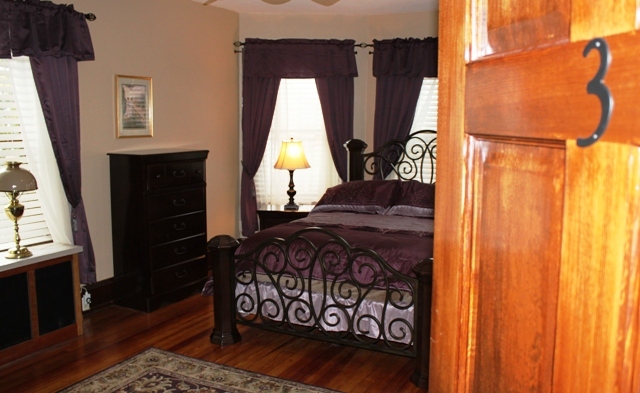 This room features a king-size bed and multiple windows. Suite 202 is our most romantic room. Spread out a little and settle in. 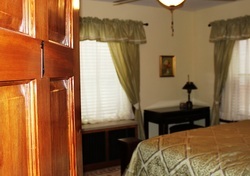 Suite 203 is our largest and most luxurious room. With a queen-size bed nestled among a wall of windows, we have created a well-appointed cocoon. Curl up on the cozy sofa and dream away. with Octagon shape window end. Full Ensuite bath with tile floors, walls, and walk in shower. 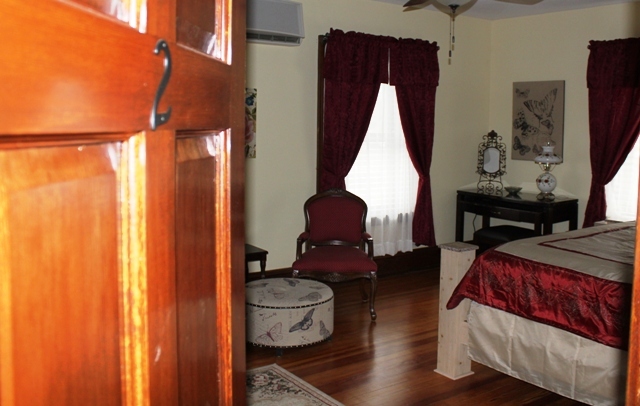 Our smallest and most intimate room is also our coziest. Full Private keyed bath with tile floors and wall, and walk in shower. Two steps away from room.